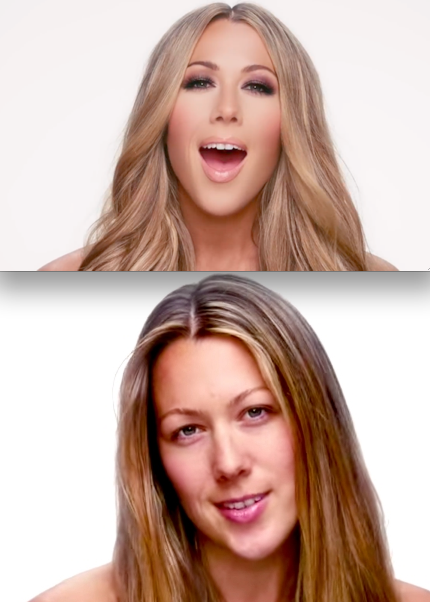 Singer Colbie Caillat was sick of the pressure she was feeling to be beautiful and to impress others. As any great artist would do, Colbie took her issue to the studio and teamed up with producer Babyface to create “Try”. In the song she sings about loving oneself. Penning the bold new song, she was even more bold in creating the video, including herself and other women taking off everything; their hair extensions, lashes, and make up. The video showcases herself and others becoming vulnerable and showing the world women in their natural state. In just a week, the video has over 9 millions views on youtube and has inspired a “Love yourself challenge” on social media, where women are challenged to post a bare-faced selfie.